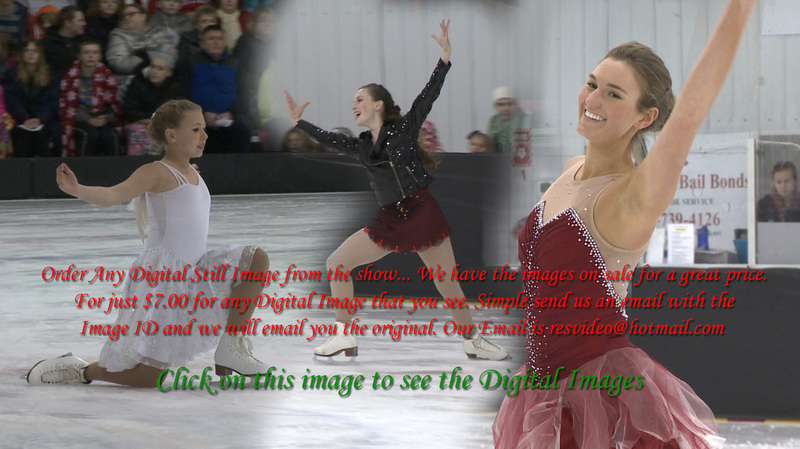 Welcome to the 2015 Holiday Ice Show. 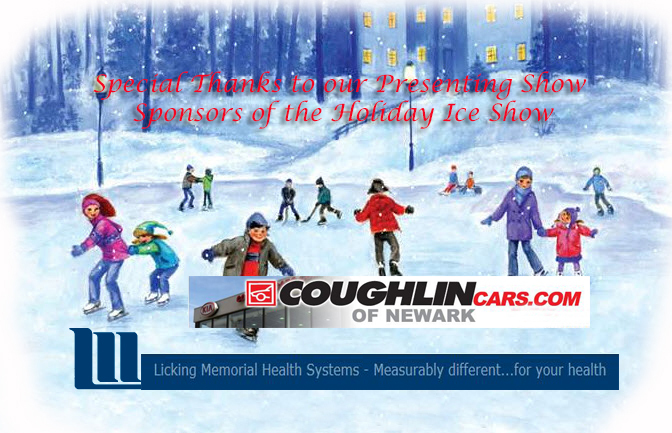 This year's Holiday Show had more skaters than ever,and I know you will enjoy looking back at the memories of this Holiday Ice Show. We are all very proud of all the skaters and admire the amount of time and energy they put being on and off the ice. A special thank you to all that volunteered this year in making 2015 a great year for skating at the Lou & Gib Reese Ice Arena. May Drew "Holly Jolly Christmas"
Alex Cavinee "O Holly Night"
Alpha Classes "Frosty The Snowman"
Antony Goldenberg "March of the Toys"
Kaitlyn Nash "Mary Did You Know"
You can order the DVD of "2014 Holiday Ice Show" at any time. The cost is $31.00 and that includes shipping. We do Accept PayPal at resvideo@hotmail.com or you can send us a check. Highlights Of The Show Above! Kaitlyn Nash & Kaitlyn Tubaugh "Snowflakes"
Shannon Davis "Wonderful Time of the Year"
Ice Dance Class "Angels Heard On High"